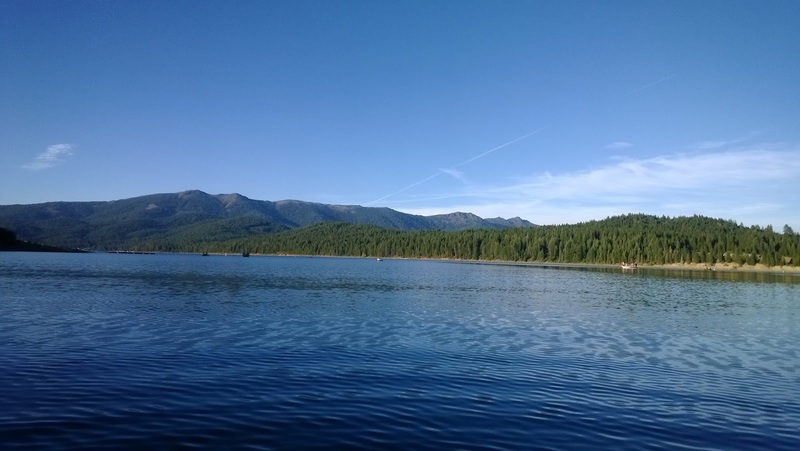 Lake Almanor is home to one of the biggest hex hatches in California. The hatch revolves around the time of the summer solstice and usually starts to dwindle down by the second week of July. This summer has been a hot one with triple digit temperatures hitting in early June. 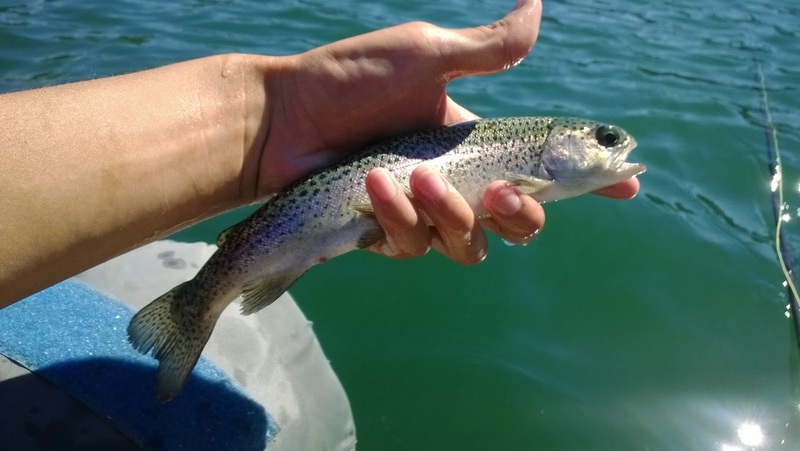 The very warm temperatures and severe drought this year make fly fishing for trout, which are coldwater species, a dangerous C&R game due to their inability to recover after being landed. My trip to fish the Hex hatch at Lake Almanor this year was a bit of a bust for trout due to the temperature but it was good for bass. The hex hatch all over the westshore but the most popular hexing spot on Almanor is Geritol Cove near the canyon dam. 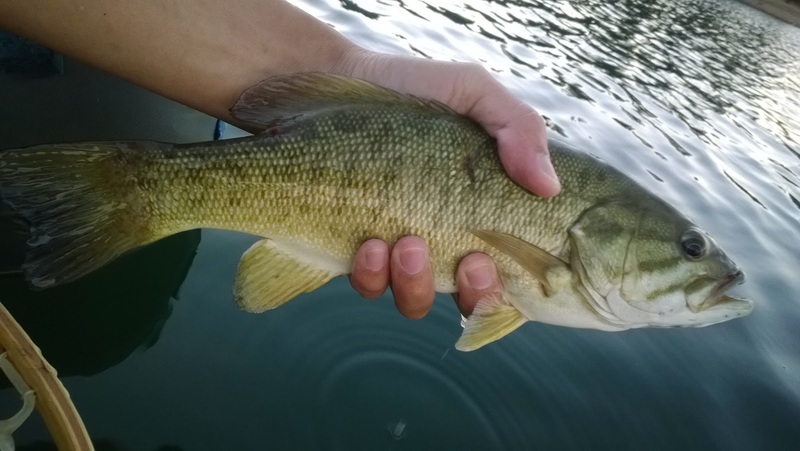 A float tube or any other watercraft is necessary to fish the hatch as the fish like to hold in deeper water. I arrived at Almanor at 3pm and was greeted with 90 degree weather, a slight blessing in comparison to the 100 degree temperature in Chico. The cove was planted with small stockies which were biting like crazy. Bank anglers were all over them. The water was a bit too warm here and in hindsight I should have driven around the lake to find cooler water. This trip was a great stillwater fly fishing experience. Although I arrived to the lake with a game plan in mind, I had a few good opportunities to change up my rig and learn how to be successfully fish a stillwater. Stillwater fly fishing is almost the complete opposite of fishing streams, rivers, and creeks. Often intimidating to the average fly angler, fly fishing stillwaters can reap big rewards because big fish like to live in lakes. A lot of anglers will tell you to effectively fly fishing stillwaters you need to invest in several lines and rods. Shenanigans! Multiple lines and rod are a luxury which many cannot afford. To me what I found were key in my success this trip were (Rio) versileaders or (Airflo) polyleaders; both the same products coming from different companies. Also known as a "Poorman's Sink Tip" these types of leaders are basically monofilament lines coated with a compound that makes the leader either float or sink. 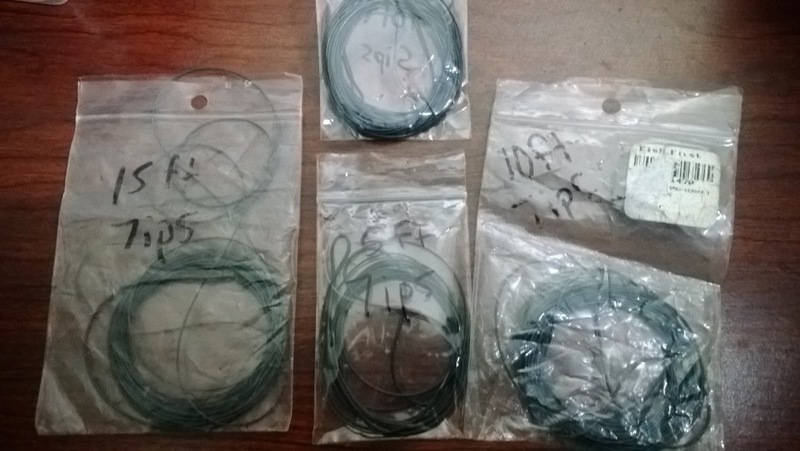 In practice, once connected to your floating line they are used as a sink tip for getting your flies at the correct depth where fish may be holding. In addition to their sinking abilities, polyleaders are also cheap at an average of $12 a leader and last forever if you clean and put them away after use. After pumping my tube, setting up my rod, and getting into the water, I immediately got a take from a little stockie. It was a good start to the day. Hours passed as I kicked and twitched my flies around the cove looking for a bite. The two flies I had on, a hex nymph and woolly bugger, were catching a few small fish here and there. After floating around the cove with no big takes, I kicked myself near the dam where I could see fish about 20ft from the rocky bottom. 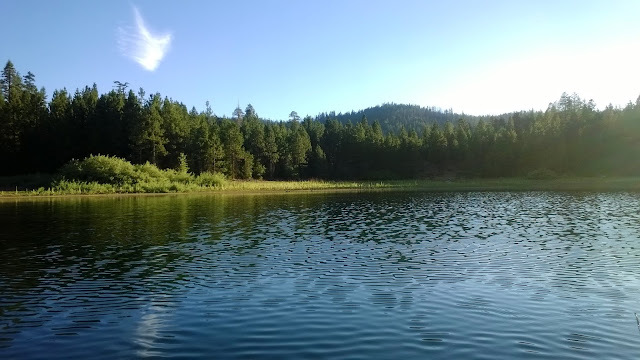 It was here were I had the most takes and caught the most fish but nothing worth bragging about. As the day progressed more anglers started showing up and by sunset we were all ready in anticipation for the hatch. During the last 30 minutes of light, I had three nice takes but only managed to land one. The key to getting a fish on was to adjust the depth of where you were fishing. Deep nymphing the first part of the hatch then gradually moving up as more bugs started to come off seemed to work very well. Much better than not hooking anything subsurface last year. The hatch ended with the best smallmouth that I've caught so far about 12" and quite the fighter. All-in-all it was a good trip. Although no big trout were caught, it was just nice to figure out how to fly fish stillwater better and gain more confidence doing so. Now I can at least say I kinda know what I'm doing.